Coffee... some of us can't get enough of this stuff and are hardly capable of crawling out of bed in the mornings without the lingering smell of brewing coffee. But things can get seriously bad during winter sessions with frost in the early mornings and blue fingers that wouldn't mind holding a warm cuppa. 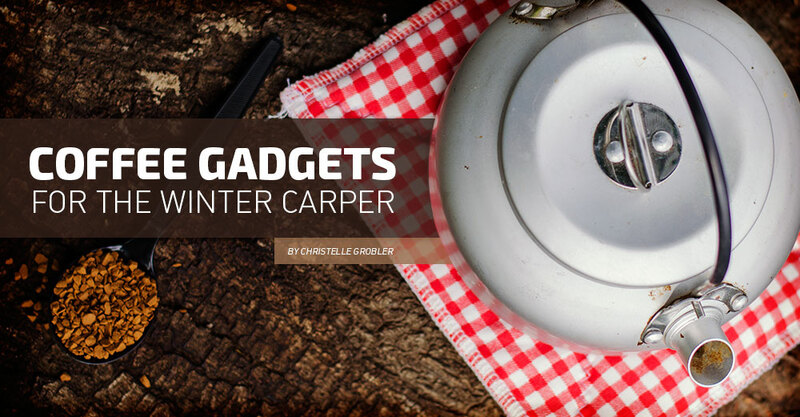 There are some clever gadgets available in specialist camping shops that won't only keep you warm, but awake when your bait alarms kept you up all night. 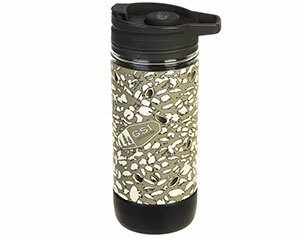 If you prefer strong French press coffee, then the GSI Outdoors Commuter Jave Press might be the right gadget for you. It is a travel mug with a French press built into a to-go cup. The main components of this press consist of lightweight plastic and are fairly compact and lightweight. Get this product at Sportmans Warehouse. 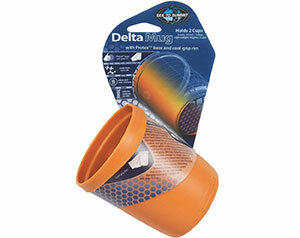 The durable, super lightweight camping mug has a hex pattern base that disperses surface temperature. The Nylon 66 plastic it is made from is also odor and stain resistant (goodbye stained polystyrene mugs). The hollow, cool-grip rim offers an alternative hold when your coffee is too hot to handle. Get this product at Cape Union Mart. 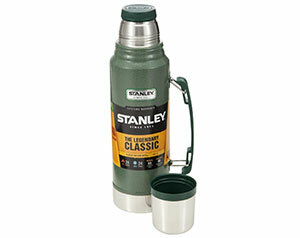 Stanley flasks are classic and robust – its vacuum insulation and double-wall construction will keep your 1-litre coffee hot for 24 hours. This hardy, leak-proof product is ideal for those cold blitz sessions in winter. Or, purely to keep your coffee warm throughout the day, without the fuss of lighting your gas stove and boiling a kettle each time. Get this product at Outdoor Warehouse. The Scout Piezo Stove is a great all round product designed specifically for camping and your fishing trips when you want to pack light and are concerned about compactness. 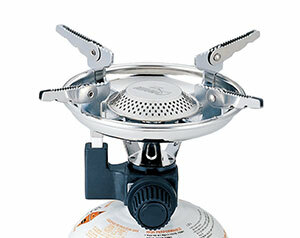 The large burner head will give enough support to any pot or pan, or in this case; your trusty camping kettle. It comes with features such as a stainless windbreaker and an easy flame adjuster. Get this product at Takealot.com. This product is clever but not necessarily practical. It is compact if you are concerned about space, and you can brew your coffee instantly, anywhere. All you need is about two cups of boiling water. 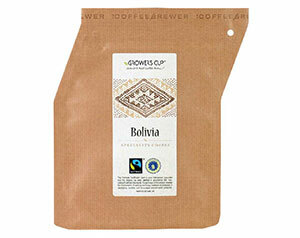 You simply pour hot water into the bag, let it brew for a few minutes (depending on how strong you want it), and you are ready to pour the contents into a cup. The bag is slightly wobbly, and it could be quite tricky or messy to maneuver on a windy winter's day, but very compact to carry around if you are all about saving space and carrying light. We like this one purely for its looks. 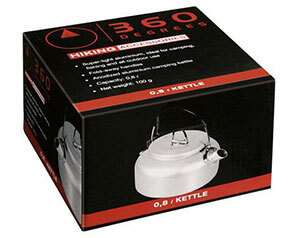 This kettle is great if you are a few coffee mongers camping in a group. This kettle holds up to 1,4-litre of water, enough for about six cups. 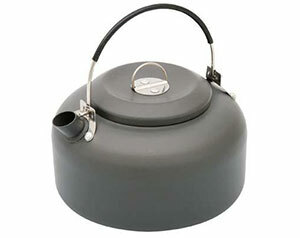 This super light aluminium kettle is ideal for the lone angler. It has a capacity of 0,8-litre and will heat up your water in no time. It is also very compact and nifty with its fold-away handles, and ideal for steaming shrink tubing for your hooklinks. 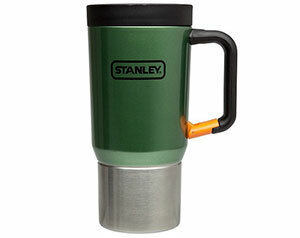 Another robust product from Stanley – this leak-proof, 0,59-litre coffee mug is another great item for the slow coffee drinker. 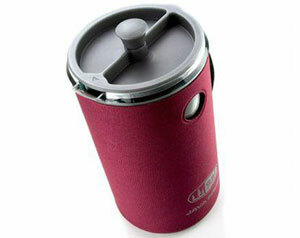 With its double wall insulation and Drink-Thru Lid features, it will keep your coffee nice and warm for long. Included in this French press kit is a GSI Infinity Mug with a Sip-It Lid, a carafe and filter plunger for mud-free coffee. Although this item is slightly bulky, it is well constructed and works great with a medium, preground coffee that you can buy at the store. 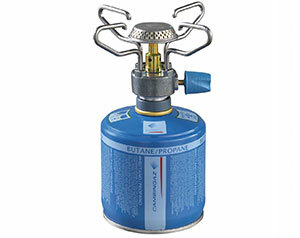 The Bleuet Micro Plus Gaz Stove is lightweight and compact – only 180g. The great thing about this cooker is that it features the Easy-Clic system, which means you can easily disconnect or reconnect the gas cylinder from the Bleuet Micro Plus. Storage is also not a problem; the arms are foldable saving you a bit of space. It also has an ergonomic knob for easy handling. This compact gadget claims to boil 1-litre water in just 5 min 15 sec.